PORTLAND, ORE., will be the site of a sixth assembly of a uniquely acclaimed program that prepares social justice advocates for effective civil resistance campaigns on a host of socio-political crises and predicaments across the nation. 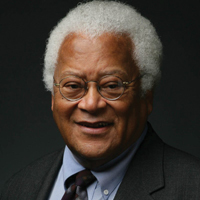 The James Lawson Institute, named for the ordained United Methodist Church minister who advised and led several successful civil resistance campaigns at the height of the modern Civil Rights Movement, will be held April 24–28 in Portland, Oregon. Leaders, organizers, scholar-practitioners, and activists who want to improve their strategy, methods, and mastery required for successful justice campaigns voluntarily apply. A close colleague and friend of the Reverend Dr. Martin Luther King Jr., Dr. Lawson led and guided some of the most capable campaigns of the 1960s and 1970s. Most notably, he organized sit-in campaigns at racially segregated lunch counters in Nashville, TN, which ultimately led to desegregation of those facilities and other public accommodations. Dr. Lawson’s last five-day Institute was held at Ohio Wesleyan University in mid-summer 2018, in central Ohio, when he convened a program focused on Power and Struggle. Participants in the Lawson Institutes start by focusing on the history of nonviolent action that has been found wherever scholars have searched for evidence of social movements. They will learn both the theory and practice of nonviolent struggle from case studies, planning tools, exercises and skits, and research, taught by a faculty of experienced scholar practitioners and facilitators. The Institute’s teaching staff and facilitators contend that the spotlight has not been sufficiently turned onto the richness of U.S. history, yesterday and today. Thousands of nonviolent campaigns and drives during the 18th to 20th centuries produced tangible results for abolition of slavery, establishment of tenant rights, ending child labor, recognition of an 8-hour work day, nonviolent organizing for strikes and economic boycotts by the labor movement in seeking basic rights for organizing for labor unions, prison reform, the women’s vote, and even organizing electric power. The Institute’s partners include the International Center on Nonviolent Conflict as an advisory partner, the Liberty Hill Foundation in Los Angeles, the Nathan Cummings Foundation, the Open Society Foundations, the Youth Engagement Fund and the Stewart Mott Foundation. The Institute meets for portions of five days, starting Wednesday, April 24, 6–9 p.m. with a public talk by Dr. Lawson, Native American Center, Portland State University, to which the public is invited.